Mike Greene - mgreene@shawmedia.com Jacobs' Jacquelyn Hengler runs around third base to score in the first inning of the Class 4A Cary-Grove Sectional finals against Carmel Saturday, June 2, 2012 in Cary. 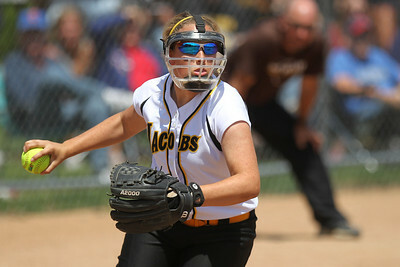 Jacobs won the game 7-0 to advance to the Judson University Supersectional against Elk Grove Monday. Mike Greene - mgreene@shawmedia.com Jacobs is lead in a team rally by Maggie Hansen (center) before the start of the Class 4A Cary-Grove Sectional finals against Carmel Saturday, June 2, 2012 in Cary. 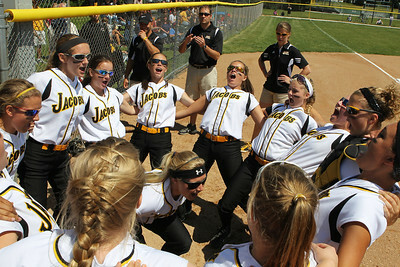 Jacobs won the game 7-0 to advance to the Judson University Supersectional against Elk Grove Monday. Mike Greene - mgreene@shawmedia.com Jacobs' Kelsey Cummings swings at a pitch during the Class 4A Cary-Grove Sectional finals against Carmel Saturday, June 2, 2012 in Cary. 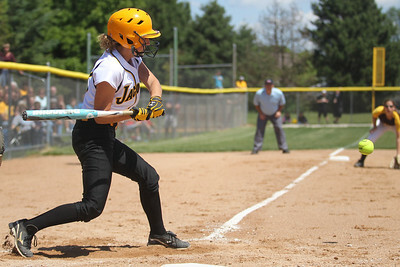 Jacobs won the game 7-0 to advance to the Judson University Supersectional against Elk Grove Monday. 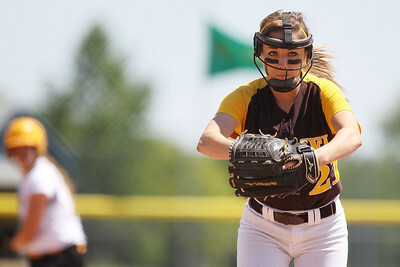 Mike Greene - mgreene@shawmedia.com Jacobs' Katie Kirker pitches in the first inning of the Class 4A Cary-Grove Sectional finals against Carmel Saturday, June 2, 2012 in Cary. Jacobs won the game 7-0 with Kirker pitching her third-straight complete game shutout. 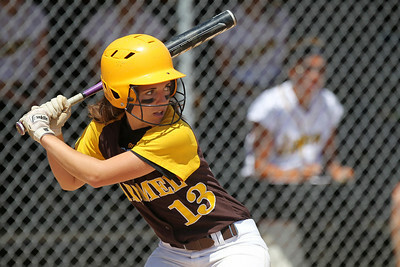 Mike Greene - mgreene@shawmedia.com Carmel's Madeline Felipez awaits a pitch during the Class 4A Cary-Grove Sectional finals against Jacobs Saturday, June 2, 2012 in Cary. Jacobs won the game 7-0 to advance to the Judson University Supersectional against Elk Grove Monday. 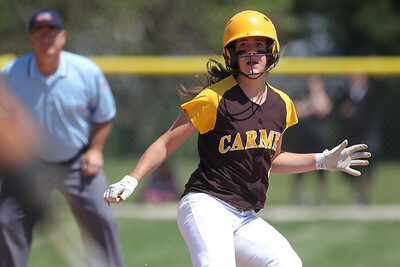 Mike Greene - mgreene@shawmedia.com Jacobs' Alyssa Lach fields a bunted ball during the Class 4A Cary-Grove Sectional finals against Carmel Saturday, June 2, 2012 in Cary. 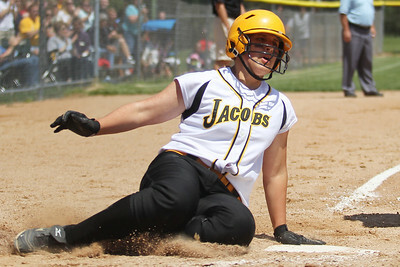 Jacobs won the game 7-0 to advance to the Judson University Supersectional against Elk Grove Monday. 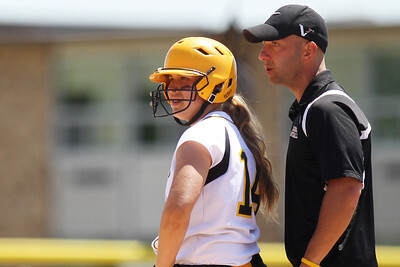 Mike Greene - mgreene@shawmedia.com Jacobs' Alyssa Lach listens to her coach after reaching first base in the first inning of the Class 4A Cary-Grove Sectional finals against Carmel Saturday, June 2, 2012 in Cary. 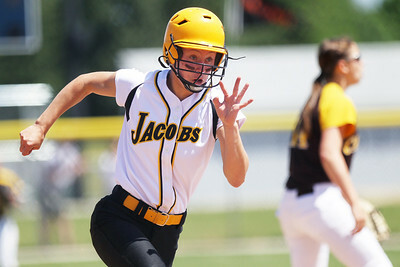 Jacobs won the game 7-0 to advance to the Judson University Supersectional against Elk Grove Monday. Mike Greene - mgreene@shawmedia.com Jacobs' Alyssa Lach slide home safely during the Class 4A Cary-Grove Sectional finals against Carmel Saturday, June 2, 2012 in Cary. 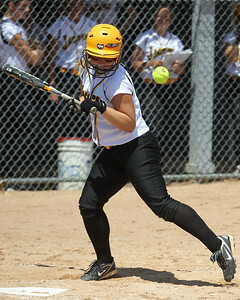 Jacobs won the game 7-0 to advance to the Judson University Supersectional against Elk Grove Monday. Mike Greene - mgreene@shawmedia.com Carmel's Kathleen Felicelli stops her momentum after taking a lead off of third base during the Class 4A Cary-Grove Sectional finals against Jacobs Saturday, June 2, 2012 in Cary. Jacobs won the game 7-0 to advance to the Judson University Supersectional against Elk Grove Monday. Mike Greene - mgreene@shawmedia.com Carmel's Nicole Bitter pitches in the first inning of the Class 4A Cary-Grove Sectional finals against Jacobs Saturday, June 2, 2012 in Cary. Jacobs won the game 7-0 to advance to the Judson University Supersectional against Elk Grove Monday. Mike Greene - mgreene@shawmedia.com Jacobs' Maggie Hansen is hit by a pitch during the Class 4A Cary-Grove Sectional finals against Carmel Saturday, June 2, 2012 in Cary. Jacobs won the game 7-0 to advance to the Judson University Supersectional against Elk Grove Monday. Mike Greene - mgreene@shawmedia.com Carmel's Sam Melillo misplays a ball in the outfield during the Class 4A Cary-Grove Sectional finals against Jacobs Saturday, June 2, 2012 in Cary. 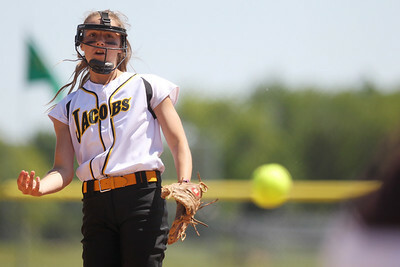 Jacobs won the game 7-0 to advance to the Judson University Supersectional against Elk Grove Monday.